Cost: £15 for 4 sessions to include EWI membership. £10 for asylum seekers. Free for 2017 EWI members. Led by Yvonne Green, experienced tutor and widely published poet. 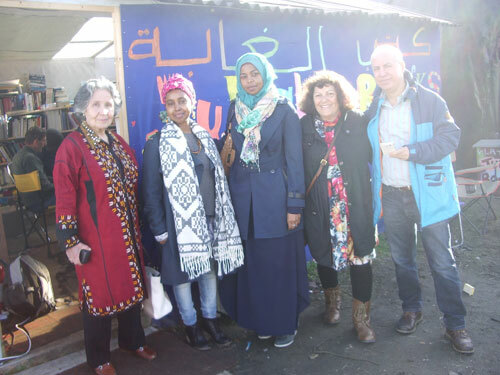 Spoken word poets, Fatima Hagi, Husam Eddin Mohammad, Selam Kidane and Shabibi Shah, from Somalia, Syria, Eritrea and Afghanistan respectively, performed their work in the main languages of the camp refugees and interacted with them in a workshop. The visiting writers donated poetry and prose books in the refugees’ languages. Lynette Craig will lead a small group in these workshops using exercises, discussion and analysis of your own work to enable you to improve your own poems and prose. Lynette is an experienced facilitator and holds an MPhil in Writing; her own poetry is widely published. If you would like to participate, then contact jennifer@exiledwriters.fsnet.co.uk and when your place is confirmed you will receive details of exactly where to go. Where do you come from, what is your identity? 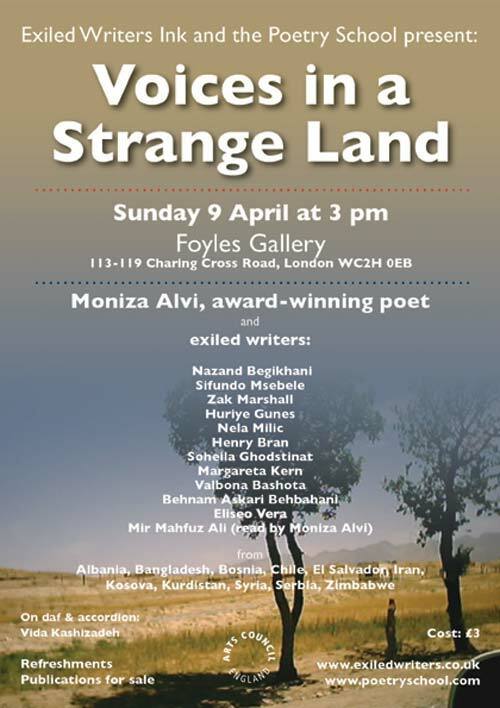 If you are interested in writing poems about your life experiences and what it is like to be exiled in a new country, do come along and be encouraged to find a way into writing. All welcome. Poetry Writing Workshops with poet and workshop facilitator: Lynette Craig holds an MPhil in Writing; she mentors exiled writers and leads workshops for both beginners and more experienced writers. Her own writing reflects her interest in the dispossessed, the persecution and exile. 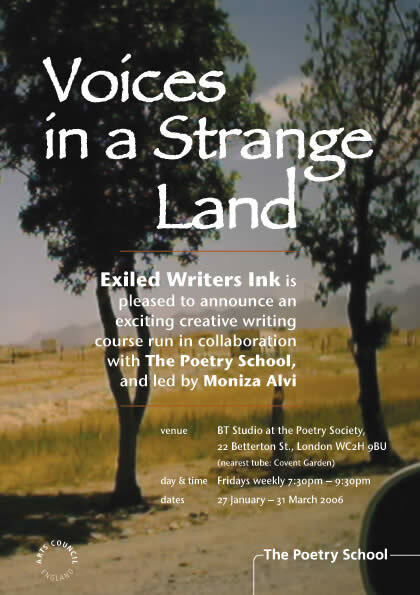 Exiled Writers Ink is pleased to announce an exciting creative writing course to be run by the respected Poetry School, London The facilitator is Moniza Alvi, prize-winning published poet. Perform your work at Foyles, Charing Cross Road. What? We shall explore the ever-important theme of exile. Study examples of work from a wide range of poets such as W.H.Auden, Nazim Hikmet, Mahmoud Darwish, Derek Walcott, Grace Nichols, Jackie Kay and George Szirtes. Writing activities will be suggested and constructive feedback will be given within a supportive atmosphere. Information about the UK poetry publishing world. Performance: Perform your work at Foyles on Sunday 9th April at 3 pm. Actors Anna Carteret and Stella Maris will help you improve your performance skills. Who? 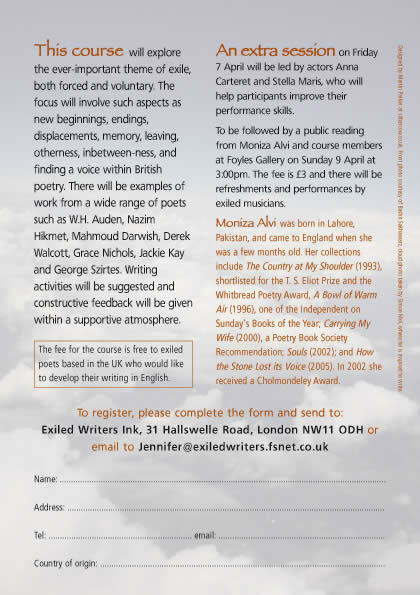 Exiled poets who want to develop their work in English. 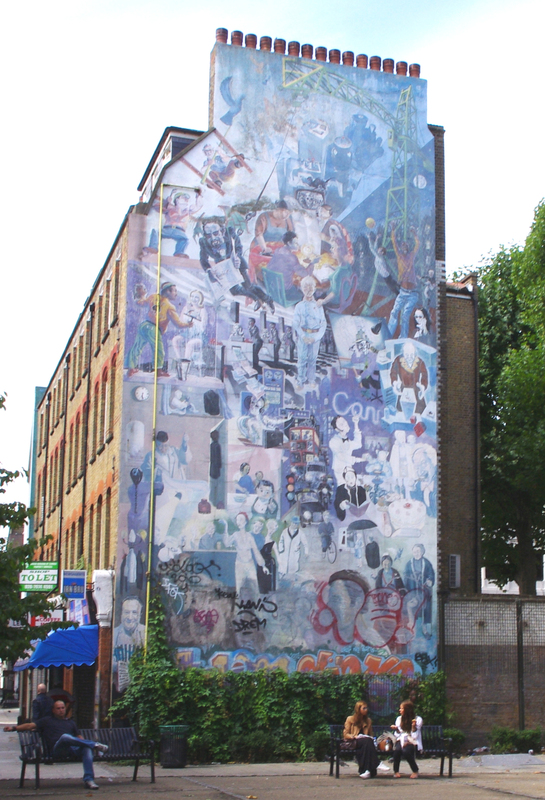 Stanhope House, Stanhope Place, London W2 (nearest tube Marble Arch) Musicians Refreshments Free event The Kurdish Exiled Voices project is funded by the Arts Council The Kurdish Exiled Association & Kurdish Cultural Centre are also thanked for their financial support. Choman Hardi will be facilitating a creative writing course for Kurdish people in association with the Centre. The course will explore writing in English. 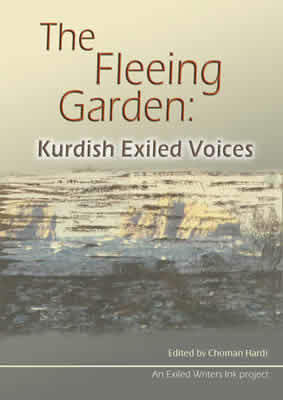 It is designed to support Kurdish writers and those who aspire to write by showcasing their work in the British literature scene. At the end of the course an anthology of the work of the participants will be produced and launched. The course consists of eight sessions over eight weeks starting on the 7th February. Who can apply: If you are a Kurd aged 16-50 years, you are fluent in English and are interested in writing, please contact Choman Hardi (choman@choman.fsnet.co.uk, 078 55 80 10 82) to register for the course. Please note that places are limited, so if you are interested book your place as soon as possible. Participants will be accepted on the ‘first come first served’ basis. Tell and write your stories and poems of living in exile or of experiences as an ‘outsider’ in society. Call 07803125064 to let us know you are coming. This is an eight week creative writing course for all levels which will look at ideas of exclusion and belonging, identity and making new spaces to live in a multi-cultural Britain. Help will be provided with English and some translators and interpreters will be available. There will be possibilities for some students to contribute to the Exiled Ink! magazine and to read at public performances. Travel costs of £2 per student will be paid. Nearest tube – Great Portland Street Station (Circle, Metropolitan and Hammersmith and City lines). Warren Street station also possible – Victoria & Northern lines).